Read more from our September 2016 print issue. The University of Washington’s World Series at Meany Hall is a carefully curated selection of music and dance performances from around the world, representing a diverse mix of styles and genres. You can subscribe to one of the four series (World Dance, International Chamber Music, President’s Piano and World Music and Theatre) or create your own (choose four or more shows at 10 percent off regular price). Highlights this fall include Mark Morris Dance Group with The Silk Road Ensemble performing an ancient Persian tale (Oct. 6–8) and Portuguese fado singer Mariza (Nov. 1). A bonus: For the piano and the chamber series, get two free youth tickets for every adult ticket. Seattle Center’s yearlong series of free cultural festivals, Festál, honors the richness and diversity of the Pacific Northwest with performances, workshops, food and more. This fall’s festivals celebrate Croatia (Oct. 2), Turkey (Oct. 15–16), Mexico (the long-running Fiestas Patrias is on Sept. 17–18) and Diwali (Nov. 6), among others. Bellevue’s Meydenbauer Center hosts homegrown multicultural arts events such as its Japan Fair 2016 (Sept. 3–4), the American Asian Performing Arts Theatre’s presentation of Autumn Rhymes (Sept. 30–Oct. 1) and a performance by the Seattle Chinese Chorus (Oct. 23). Other cultural arts ops include Hawaii’s Legends (Oct. 30) and the Russian American Entertainment Group’s performance (Nov. 15). Head to Crossroads Bellevue on the third Saturday of the month for Northwest Folklife at Crossroads, which presents free family-friendly cultural arts performances. The fall lineup includes Mexican folkloric dance troupe Bailadores de Bronce (Sept. 17), Vela Luka Croatian Dance Ensemble (Oct. 15), Kabuki Academy (Nov. 19) and Tango Argentino and Friends (Dec. 17). If you’re not on the Eastside, Folklife still has you covered. The Seattle Children’s Festival at Seattle Center on Oct. 9 is a full day of music and dance performances, workshops and hands-on activities designed to introduce kids to new cultures and traditions. Travel to Asia via Benaroya Hall several times this fall. The Guangdong National Orchestra of China celebrates the Chinese Moon Festival with performances called Autumn Memory (Sept. 12) and Silk Road Melody (Sept. 13), a musical epic about the Chinese sailors who opened up trade and cultural exchange with foreign lands. On Sept. 25, the annual “East Meets West” concert, titled Year of the Monkey: Chinese Music in the Great Northwest, will combine Chinese orchestrations with popular western classics. Explore the world’s stories in film this fall at the Seattle Latino Film Festival (Sept. 30–Oct. 9), or the Seattle South Asian Film Festival (Oct. 14–23). Historically, Russia has produced some of classical ballet’s greatest choreographers and dancers; see one of the country’s finest companies, the Russian Grand Ballet, perform the classic Petipa ballet Swan Lake at Edmonds Center for the Arts on Oct. 26; and at Olympia’s Washington Center for the Performing Arts on Oct. 27; and The Sleeping Beauty at Tacoma’s gorgeous Pantages Theater on Oct. 28. 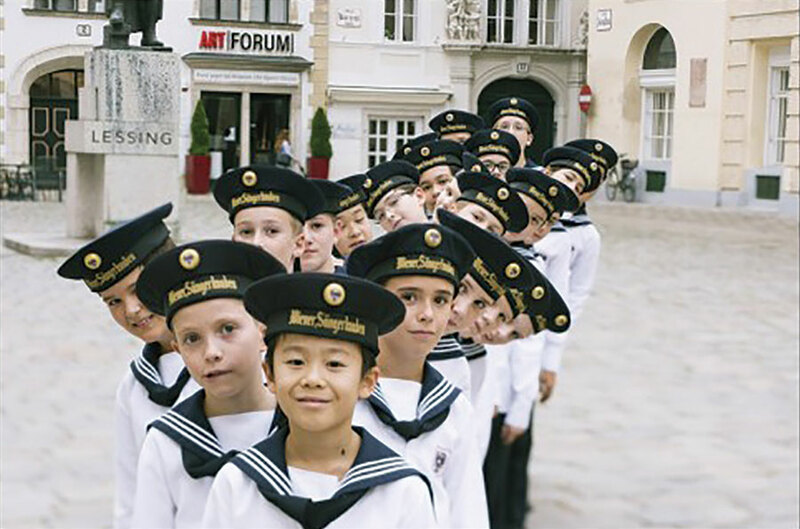 Another grand European tradition is the Vienna Boys Choir, founded by Emperor Maximilian I in 1498. Its troupe of 10- to 14-year-old singers perform at Edmonds Center for the Arts on Nov. 12 and at Tacoma’s Pantages Theater on Nov. 13. Read more about upcoming family art in our area this fall.